Try your hand at drawing and bring out your inner artist as you discover your own unique style. Create your own masterpieces with projects for both beginners and experienced artists. A practical guide to learning how to draw with pencils, charcoal, pens, and pastels, Artist's Drawing Techniques helps you develop skills in every medium. Begin with the basics-choose and observe a subject and then figure out the composition-and then continue to sketch your masterpieces as your skills and confidence develop. After the basic principles are mastered, you will be inspired to move on to new challenges as your artistic talents blossom on your own terms. Artist's Drawing Techniques explains which tools, materials, and methods should be used, allowing you to master more than 80 techniques, from shading to blending to perspective to cross-hatching, as you follow inspirational drawing tutorials. 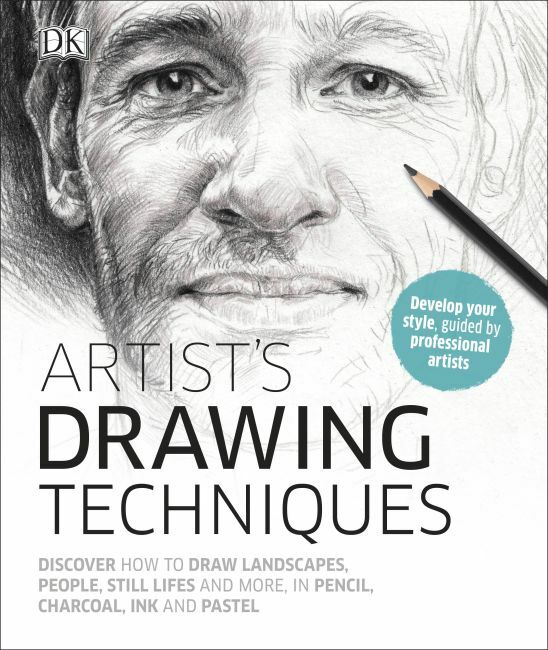 Perfect for the beginner picking up a new hobby or the experienced artist who wants to expand your horizons with new styles, Artist's Drawing Techniques is an essential guide for unlocking your creativity.